It's clearly no ordinary drowning. When a young girl is pulled from the watery depths, a piece of concrete tied around her waist and two mysterious circular patches on the back of her neck, Detective Louise Rick is immediately called out to Holbaek Fjord. Her name was Samra, and when the police learn that she was a member of Holbaek's sizeable Muslim immigrant community, they immediately assume it was an honor killing. Yet her mother insists Samra had done nothing dishonorable. Louise must navigate the complex web of family and community ties in the small town's tightly knit Muslim community as she hunts a killer . . . before he strikes again. Thriller master Sara Blaedel is in top form as Louise takes on what may be her most important-and most deadly-case yet. 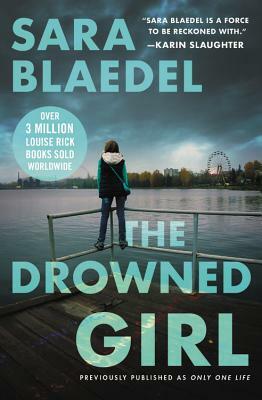 Sara Blaedel is the author of the #1 international bestselling series featuring Detective Louise Rick. Her books are published in thirty-seven countries. In 2014 Sara was voted Denmark's most popular novelist for the fourth time. She is also a recipient of the Golden Laurel, Denmark's most prestigious literary award. She lives in New York City.